← This weekend @BFC: Movie Night, Trustees, Worship and PECSC! This Sunday @BFC: Trustees, Sunday School, green bags, Lucy Duncan speaking, Chain of Prayer and MOCE! 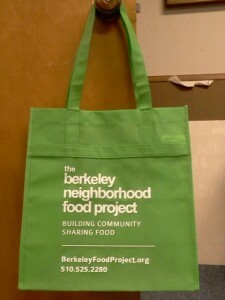 1) This Sunday we will be collecting the church’s contributions to the Berkeley Neighborhood Food Project. Please bring your green bags with you and bring them into worship so we can give thanks together and pray for those the food will go to. 2) This Sunday is also our day to participate in the FUM Chain of Prayer, between noon and midnight. If you’ve already signed up to participate, I will send out a reminder shortly. If you haven’t but would like to, there’s still time to sign up! Just contact me and I’ll let you know what’s available in the schedule. For more information and for a guide to FUM’s ministries which you can use to structure your time of prayer, see this link. The Trustees Committee will start things off, with their meeting at 9 AM. Then, at 10 AM, our Sunday School classes for children and adults will meet. In meeting for worship at 11 AM, we will hear a message from Lucy Duncan, Friends Liaison for the American Friends Service Committee. Lucy will be available for informal conversation during fellowship time, which follows worship. Then the Missionary, Outreach and Christian Education Committee will meet at 1 PM. Please join us as we gather for service, prayer and worship! Comments Off on This Sunday @BFC: Trustees, Sunday School, green bags, Lucy Duncan speaking, Chain of Prayer and MOCE!